Feb. 2 - Carrera Chili. Our annual mid-winter social get together. Event details including the address and driving directions are here. Feb. 16 - The Coffee Travelers (aka Saturday Meet for Coffee). We'll be at the Quarry Cafe in downtown Lannon, Wis., on Main Street. Grab a cup of coffee, pull up a chair. No RSVP needed. 9-11 a.m. at 20316 W. Main Street (Hwy 74) Lannon, WI 53046. March 16 - The Coffee Travelers (aka Saturday Meet for Coffee). Location to be confirmed shortly. Donna Daufenbach, intrepid searcher of great caffeine, will let us know shortly were we will meet in March. As the weather improves, Donna hints that the drives will be a bit further, but who cares? Stay tuned. July 14 - Autocross at the Wis State Fair Park parking lot. Aug. 24 - Club Day at the Milwaukee Masterpiece, a car show on Milwaukee's lakefront. More information to be posted on the site as plans for region involvement are firmed up. This is a partial listing of events hosted by various car clubs in the area. Check it out. Classifieds are updated regularly as new ads are received so check them often. January Meet for Coffee...Nine members pulled up a chair, ordered coffee or breakfast and covered a wide variety of topics, including a possible trip to Germany to tour the Porsche factory. Details here. 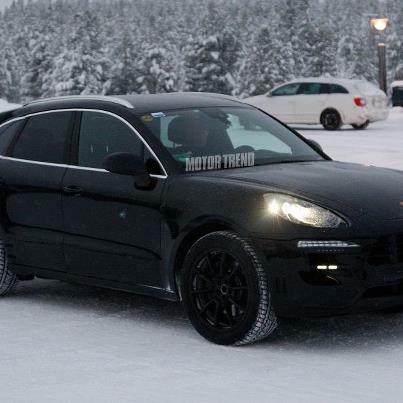 Here is the best look yet at the forthcoming Porsche Macan, the smaller sibling to the Porsche Cayenne. 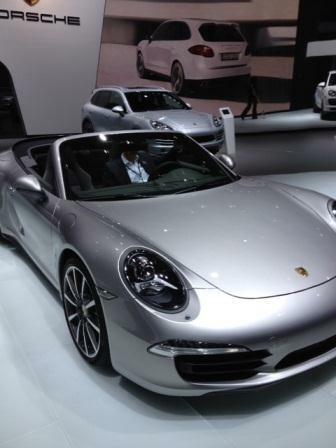 Rumored engines available at launch are a supercharged V6 and a turbocharged diesel V6. Here's the latest on the development of Porsche's Ferrari Fighter. Details here. Check out the cool video http://youtu.be/Uqa8MFSXZHM . Don't you wish the exterior wall of your garage could sport this? Watch here. Classic. A 964 RS. 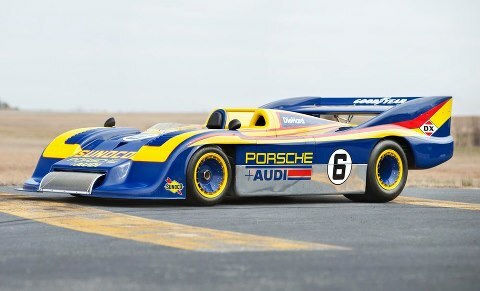 Who wants to drive this? The editor gets first dibs. 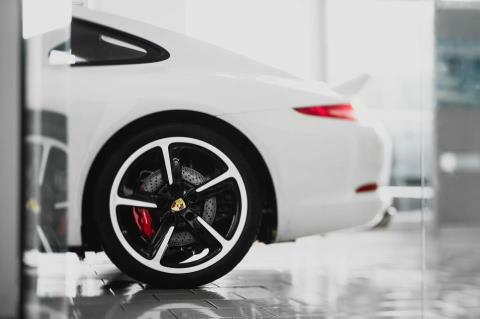 Sport Techno wheels on the 991. Thumbs up?